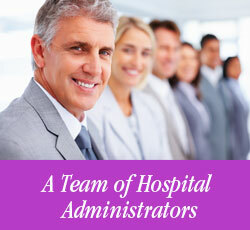 Our mission is to develop authentic, effective leaders, teams and organizations. Trust and open, authentic rapport is key to any successful team. Building high-performing teams is essential to an organization’s output and effectiveness. Team building is customized for each group’s needs. Activities facilitate learning about each team member and to understand the dynamics of the team. As an outside facilitator, we bring creative exercises, environments and assessments to enhance the development of the team as a whole. The focus will always be brought back to the tasks at hand, allowing individuals to see their role and their value as part of the team to accomplish goals. As a facilitator, we partner in designing the team-building program, while allowing the leader to be an influential member of the team-building group. Click on one of the selections below to read about an example program. Click one of the images at left to read about an example program. New Teams with new members and challenges. PROGRAM: This team was newly formed and a variety of activities were utilized to encourage sharing and learning about one another, as well as the team dynamic. This included sharing behavioral styles and identifying key goals, jointly developed by the team to focus on the organization’s overall strategy. An action plan was developed. The leader received coaching to assist in rolling out the plan. An entrepreneurial company purchased by a Fortune 500 company seeking to transition effectively, sought help through team building. PROGRAM: This team had always operated entrepreneurial without much bureaucracy which allowed quick decision making and encouraged experimentation. 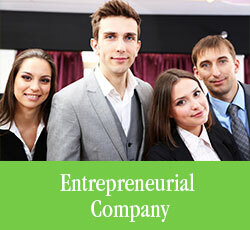 The new organization consisted of the entrepreneurial team members as well as the large new organization employees. Interviews were conducted to identify issues with the team. Personal information was shared and behavioral styles assessments were conducted so teammates learned about themselves and the differences of others. The Bridges Change Model was utilized to identify the stage of change that both the individuals and the organization was perceived to be experiencing. After a year, it was found that many individuals were continuing to resist the change. The team identified where they desired to be and, as a team and individually, set goals to get there. Coaching was also provided for key leaders to lead through this change. to get in alignment to deliver shared results. PROGRAM: A team building session was developed using Patrick Lencioni’s Five Dysfunctions of a Team model. This was chosen because of the various components: Trust, Conflict, Commitment, Accountability and Results. The team took an assessment and found there were deficiencies at all levels. An MBTI was utilized as a way to learn each other’s styles. This non-traditional group decided to continue to meet to address mutual goals. Once they identified conflicts in their objectives, as a group, made better decisions for the team. They met their desired goals and objectives. 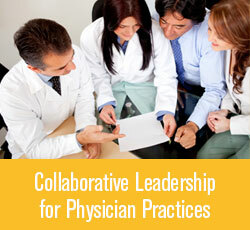 Collaborative Leadership for Physician Practices is a model of leading that includes a physician leader along with the administrative partner and/or clinical partner to plan, communicate and align as leaders of a practice, facility or department. This program includes one-on-one sessions and group sessions with individuals. PROGRAM: When physician and administrative leaders are identified, it may not be clear how they need to collaborate to strengthen their efforts. It is sometimes confusing to staff when they get direction, sometimes conflicting, from several leaders. The core curriculum establishes a solid foundation for the team to work together in a coordinated effort. Throughout the series, the leaders are completing a working agreement to determine how they will work together to engage their team. Additionally, each leader will experience personal insights and development. The sessions are developed with content experts from your organization. Equine Assisted Teambuilding uses horses to assist teams in learning about themselves individually and as a team. PROGRAM: Horses add a dynamic excitement as teammates experience the horses individually in an environment where most feel out of their element. Equine Assisted Learning is conducted on the ground with the horses freely moving around an arena, with activities for the team or individuals to achieve. Outcomes and experience are transferred back to the workplace so that action plans can be implemented.